Our expert stretch wrap staff can help you identify the most cost effective stretch wrap packaging for your needs. Our prime distributing partners include Gale Wrap, Sigma Stretch Film, and Linear stretch films. We also supply colored stretch film and UVI stretch film. In addition to stretch film products, we offer a full line of stretch wrappers. Our service department can provide you with the necessary expertise if you need parts or repairs to your stretch film machine. 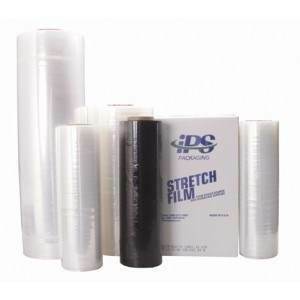 IPS Packaging is you single source supplier for all your stretch film needs.